The friendship between jazz legend Thelonious Monk and jazz patron Baroness Kathleen Annie Pannonica de Koenigswarter is a remarkable true story of how people from dramatically different backgrounds and social statuses can find a connection in a mutual appreciation of art. 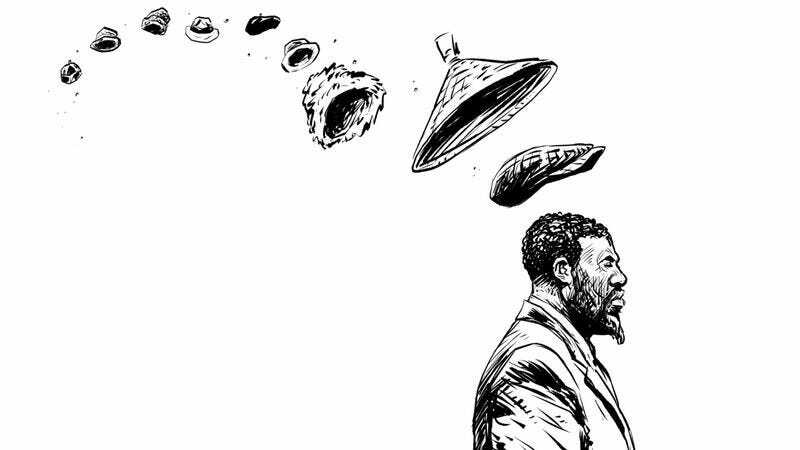 Their relationship is at the center of Youssef Daoudi’s Monk, a new graphic novel from First Second that details Monk and Nica’s story in sumptuous black-and-white artwork. “What I love about jazz is its unique and powerful combination of discipline and freedom, melody and improvisation, harmony and creative dissonance, tradition and revolution,” Daoudi says. “I think that the bond between Nica and Thelonious represents somehow the spirit of that music.” Readers can learn more about that bond when Monk is released in fall of 2017, but in the meanwhile, check out this Gateways To Geekery on Thelonious Monk to learn more about the seminal jazz musician.